If you’re a parent, or a child, or anyone, you may have heard the phrase. “It takes a village” (to raise a child). After reading a post written by a fellow contributor, KC, I remained in thought about this village that’s needed to raise our children. KC is currently a stay-home-mum to a precious toddler, so you know she has one of the most rewarding and challenging positions in the universe; one weighted with a lot of responsibility, as well. Thankfully she takes the time to write about some of what’s going on in her world as a mum, a woman, and as a person, because out of her writing I found something I want to discuss, too. 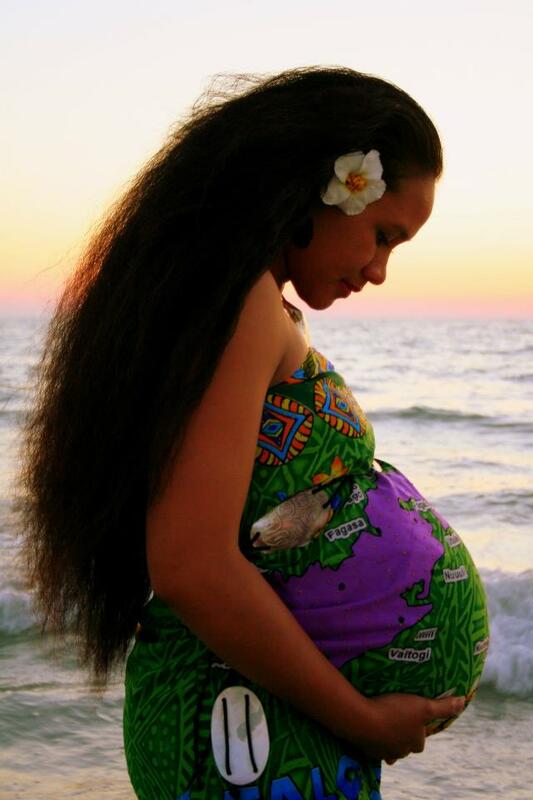 Check her out at http://www.mummyintransit.com. She is a really good writer, and she’s funny too. In reading KC’s post I thought about my own experience as a child in Italy, a teenager in Tanzania, and an adult and parent in the United States. What was my village like? Who did my mum include in forming my personality and my worldview? In Italy we lived in a small citta`: Ancona. It was a beautiful coastal town and we lived right in between the city and the farms. We children, played outside all afternoon. As soon as homework was done we were outside. We may have gone to one another’s home to get a snack, which were times when we always learned something about our friends, their parent(s), and about life as applicable to our selves…even if we didn’t know it at the time. Two sisters lived literally 45 skipping seconds from my door. They had to take naps from 1400 hours to 1600 hours, after which they could play. This taught me that some kids take daily naps and that sometimes I had to learn to play alone. Their grandfather kept canaries in his garage. It was a big garage and we loved to go see what he was fixing in there, and what baby birds had hatched. He gave me four or five canaries, the next one more reluctantly than the last as I would somehow ‘lose’ them in the air after two or three days of them being in my possession. He also silently taught me that a big salad should be had after supper. Our friend from across the street had an angel for a mother. My own mum fell and was wheelchair bound for an entire year. Our neighbor brought her food every day, in a clay pot, as it was more nutritious that way. She helped make sure we were alright, and never seemed bothered by the effort put into helping us during this time. She was a stay-at-home mum. She kept her house immaculate. It had life, though. It didn’t look like one of those homes in which you’re scared of touching anything. She was loving, a present mum to her own children and to me. There are many more examples of such friends in Ancona, and I definitely would say they have Global Village membership. They helped raise me directly and indirectly and it feels it was expected that all the adults participate in this way. In Tanzania it felt different to me in some ways, particularly because respect for the elders was really of high importance. So the relationship between elders and children was less close (personally), than what I felt in Italy. Then again we moved there as I had just turned 11 years old, and I spoke neither Kiswahili nor English. However, I can confidently say that in Tanzania there are plenty…and I mean plenty Global Village members. Not long after you meet someone older than you, you greet them with ‘Aunty’ or ‘Uncle’, if not Grandma and Grandpa. If someone is older enough, they feel and know it’s for them to tell you about how to be a better human being; be it on a small or large scale. Some adults, especially in school, felt they had this responsibility and they coupled it with abuse in their authority (and sometimes religion, too), so they would cane us. I do believe that somewhere in their minds they believed they were helping us like a parent would and should. I didn’t condone caning then and I don’t now. In the United States the situation has been very different. There are times when I see a pregnant woman smoking, or an adult smoking in a car with the windows just slightly cracked open, and an infant or toddler sitting in the back, and I want to say “Hey! Your baby just called and said please stop giving her lung cancer!” In Tanzania I may get cursed at, but it would be more acceptable for me to do this, and language would make it so they knew I wasn’t trying to judge them, but I was trying to speak up for the baby. Here, I have experienced people cursing at me or being completely insulted and telling me it’s none of my business. They aren’t Global Village members. Well, they actually and unfortunately are, but by making the choice of not deciding to be members. It is my business. That’s a child. She can’t speak. She doesn’t know what you are doing is bad for her because why would you be harming her? You’re her protector. This is why there needs to be a Global Village. When you’re away from your family and from the people who dare say something to you, or to your children directly, you need to have other Global Village members. When you’re away from your family you need to be open to the fact that such members are out there and they want to help. Not everyone is of help, but we are out there. I think that children bring a lot of people together, and we often disregard the opportunity to build this Village by letting titles and time stop us. For instance, when we drop our children off to daycare or school, or after school activities, we often don’t have time to get to know our children’s other caregivers (because that is what they are). Sometimes we have time, but we don’t want to impose on this person who is the ballet teacher, or the chess instructor, or the 5th grade science teacher. We should talk to all these caretakers more because some of us know our roles and true responsibilities, and some of us don’t even know we are a part of the Global Village. We need to know, so we can be active members. As parents we also need to know who around us has Global Village Membership. Children travel with their families and eventually on their own. At least I sincerely hope they do; even if locally. When they understand that they are being raised by a Global Village, I think they become more responsible and more respectful because they know that there are many eyes watching them; not just dad’s and mom’s and the ones on the back of mom and dad’s heads. They also would appreciate the fortune of having a village comprised of citizens from around the globe, and not just from Main Street & Franklin Street to Iman Road & Jumaa Avenue. 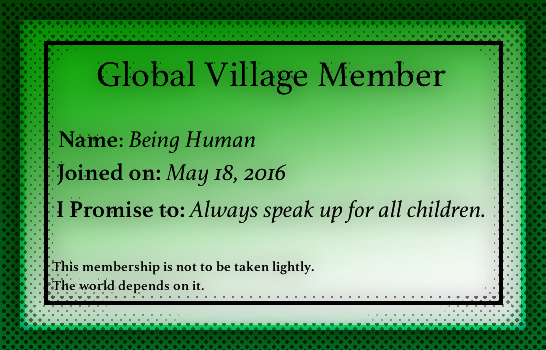 Are you a member of the Global Village? If you aren’t yet, will you get yourself a membership? What would it mean for you to do so? Do you agree or disagree with this philosophy and why? 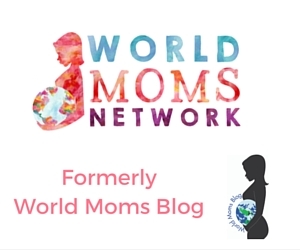 This is an original post to World Moms Blog by Sophia. You can find her blogging at Think Say Be and on twitter @ThinkSayBeSNJ. Looking at the state of families these days, members living all over the place, I feel that this proximity is key and a good start for our kids. It’s also good to know that we are not alone raising them, that we have support and that enough love is available to make our life as easy as possible. Thank you for giving me the impulse to do so. Together we are stronger. I have grown up in Cape Town, which is a true “melting pot” of ethnicities, but people tend to keep to themselves. 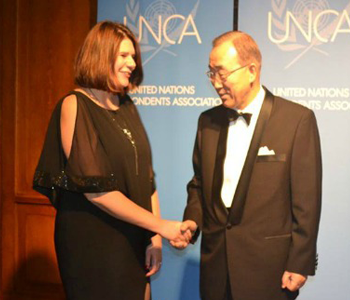 Thank you for the response, Simona. It seems we had similar childhood journeys into the ‘unknown’ 🙂 It is good to hear that Cape Town does have people from various cultures and background. I am sure it also makes it challenging, especially if people groups keep to themselves. Your participation in the virtual world is a great tool, and of course if you should feel like trying something out in your community, maybe you’d be surprised at the response. I remember once I went around my apartment community to ask if those who had children would be interested in said children attending children’s classes. It was a scary thing to do. It was in Florida and I half-expected someone to meet me at the door with a shotgun. However, that didn’t happen. The worst that happened is a few people closed the door when they saw it wasn’t the postman or FedEx. The children who ended up coming were of diverse background: Colombian (first generation), white American from different walks of life…. even some whose parents I thought would have looked at me and seen someone too different to entrust their children with. The class was about moral education. Sophia, thank you for your very kind words and also for carrying on this dialogue. This resonates with me as I am an expat in the UAE and I clearly do not have my family or close circle of old friends to support me. We are definitely in this parenthood gig together, and need each other’s help, ideas, love and support. I love this idea of a Global Village and I think I have membership already! We have so many around us that are supporting me to raise my child and I think it’s very important for our children to know that too, because it ultimately teaches them to respect the people around them and reminds them of their responsibility and relationships with the community. Love this!